So I got a look at EF 4.9 pads today. The one thing I was most encouraged about was how subtle the texture in the "fangs" is. 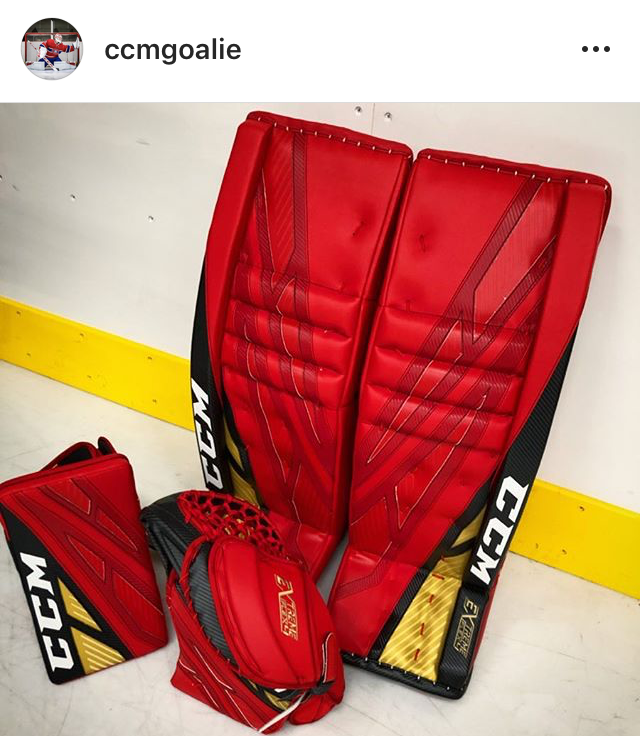 It was a little more noticeable on the red part of the pair of pads I got to look at, but on the black and white pair it hardly showed up at all. Hopefully the top end EF4's have this same material, as it's WAY better looking than what I've seen in pictures. On another positive note, I got a peek at the EF4 stick. My quick impression is that it's CCM's lightest, best balanced stick to date. It'll be interesting to see how it compares to the new Bauer and Warrior offerings for 2019. So you're saying I have a reason to buy something other than a Northstar now? Got the green light go ahead to place my order, first ever custom set. And now I have no idea what colors to get. #solidcoloredpadscrew? Maybe all black, all red? This is the best i could come up with for my team colors. I definitely want as little white as possible. This is the best i could come up with for﻿ my team colors. I definitely want as little white as possible. I think I need some inspiration.﻿..
My previous custom set was my first time going with team colors. All my sets prior to that were whatever colors I felt like doing. After a couple months in them, I realized I was happier with my own colors rather than my team colors. Just my two cents. I dig it! I am def using a mix of materials with speed skin in the sliding surface and bindings. 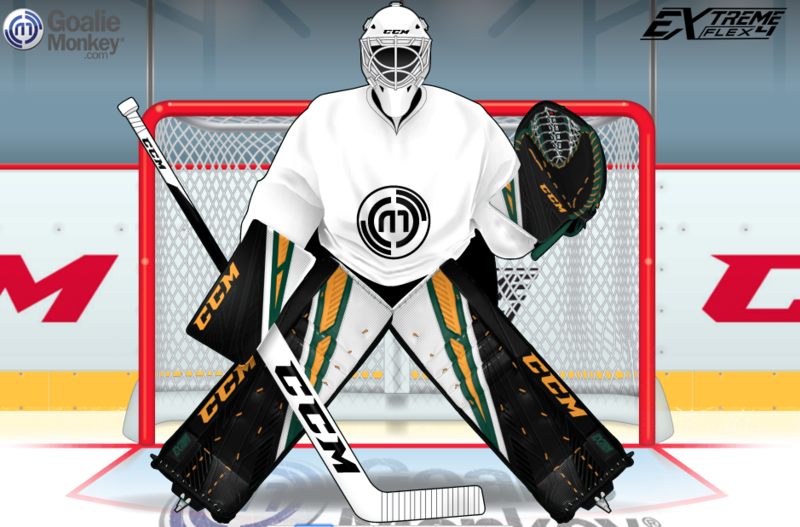 I'm just concerned, as beer league teams go, I don't want to do a beautiful custom set and then change teams/jerseys in 6 months. 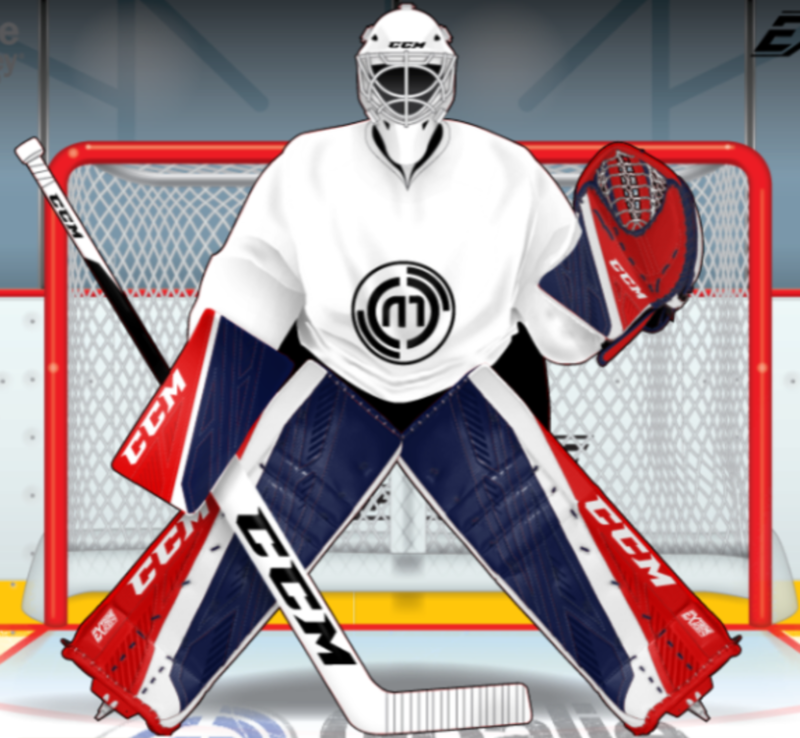 Can you Tweet this to Carey Price or Holtby? This is awesome. I agree... I just roll with my own scheme. Solid point. But aside from the post-season, Holtby hasn't exactly been Holtby this and last season. Sometimes a change up breaks the cycle. Also; paired with this jersey this colorway is simple yet pretty dope. I can, but it will be a bit. If you need some immediate feedback, I can say this thing is sick. 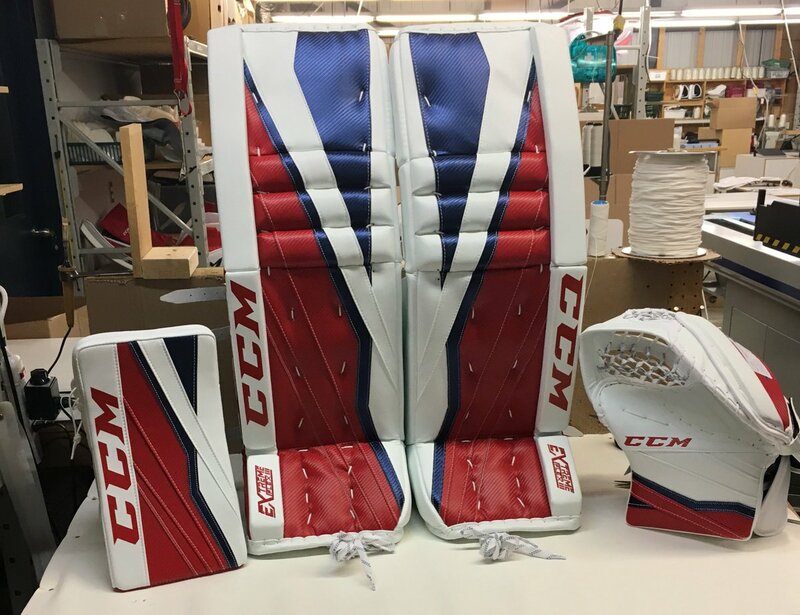 CCM finally caught up to Bauer in weight and it’s about the same as a 1S. The balance is great. Dont have any negatives yet and haven’t used this long enough to speak to the durability. 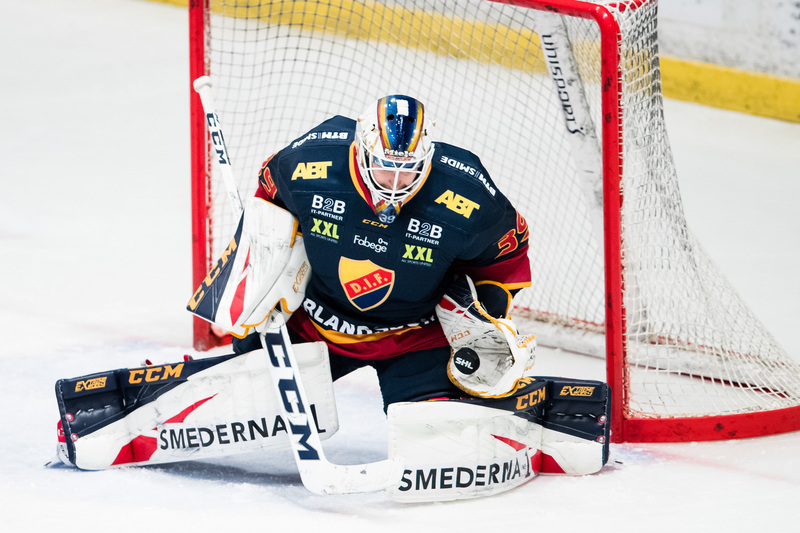 Is the construction of the ccm pro eflex 4 line and the pro premier 2 line blockers different? Or at least stiffer than the eflex 3.9? 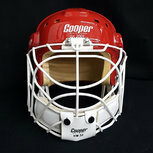 I had a lot of problems previously and I need to know if I should get a Vaughn v8 blocker or any sort of ccm line of blocker. The pro level gloves will be better. One thing I got wrong in the video was this. There are a few minor differences.